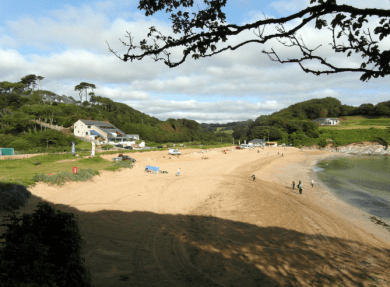 Around two miles south west of Falmouth town centre, Maenporth Beach is a hidden gem that boasts fabulous views out towards Pendennis Castle and the lighthouse at St Anthony’s Head. Its name means “stones cove” in Cornish, but there’s plenty of golden sand here too – perfect for building castles or sunbathing. There’s level access from the adjacent car park – ideal for buggies and wheelchairs, public toilets, and a shop and cafe called Life’s a Beach for all your seaside supplies. It’s a beach that shelves gently into the sea leaving a shallow pool at low tide that’s safe for swimming and rock pools teeming with sea creatures. The more adventurous can try out some water sports, including kayaking and scuba diving, or go fishing in Falmouth Bay. The South West Coast Path offers stunning walks both east and west, and bird lovers can spot grey herons and little egrets in the wetland nature reserve behind the beach. 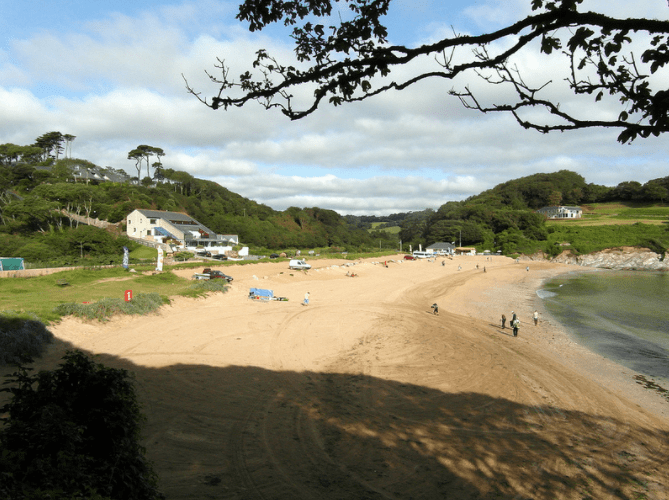 So, there’s something to offer the whole family at Maenporth, all except the dog – there’s a ban on canines from May to October. Yoga sessions on the sand. These are held regularly through the summer season depending on the weather. Ask for details in Life’s A Beach. Lunch or dinner at The Cove restaurant which has stunning views across the beach and an award-winning Cornish chef who believes in celebrating all things fresh, seasonal and local.